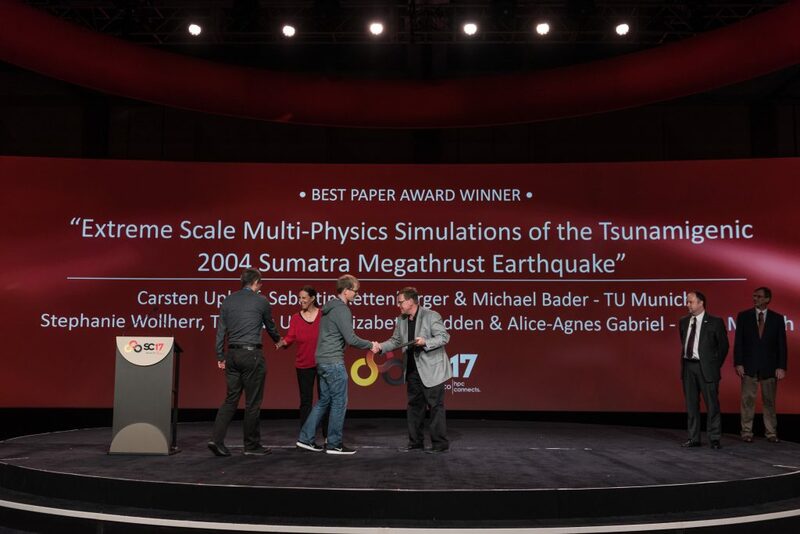 Reminisce on Your SC17 Experience – Recap of Conference Highlights, Award Winners, Presentation Videos & Official Photos! 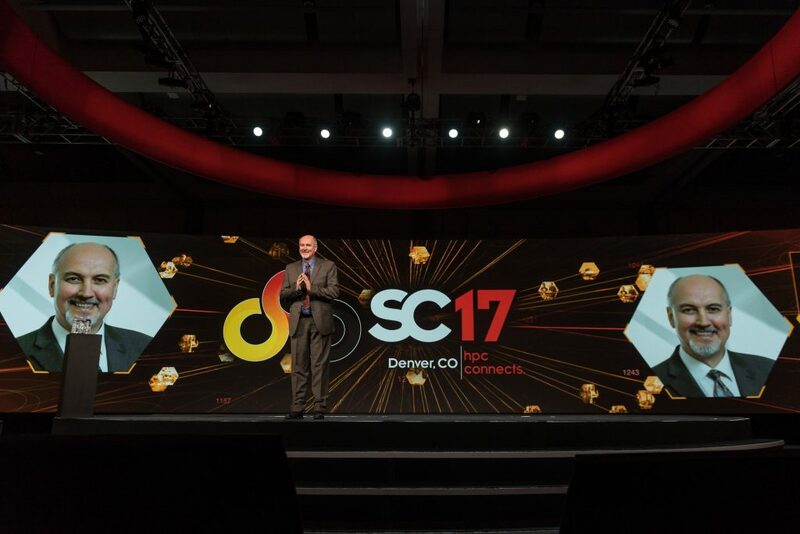 SC17 Conference Chair Bernd Mohr welcomes the audience to Denver before the Keynote session. It’s been just over a month since the SC community took over Denver! We hope you have recovered from this incredible week of education, collaboration and fun and are ready for the holiday season. Once again our community came together to celebrate the high impact contributions of the HPC community – from those just starting their careers to those who are SC “long-timers” – some who have been to every single conference since it began 30 years ago! As you start to settle in for the holidays – hopefully with some relaxation time on your hands – what a great opportunity to re-live some of your favorite moments from SC17 and to share some too! View SC17’s professional photos using our online gallery by clicking here. SC17 offered many networking opportunities – pictured above is the popular Mentor-Protégé Program. 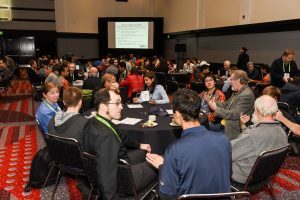 Attendees: The conference drew 12,753 attendees and featured a technical program spanning six days – marking the second largest SC conference of all time. 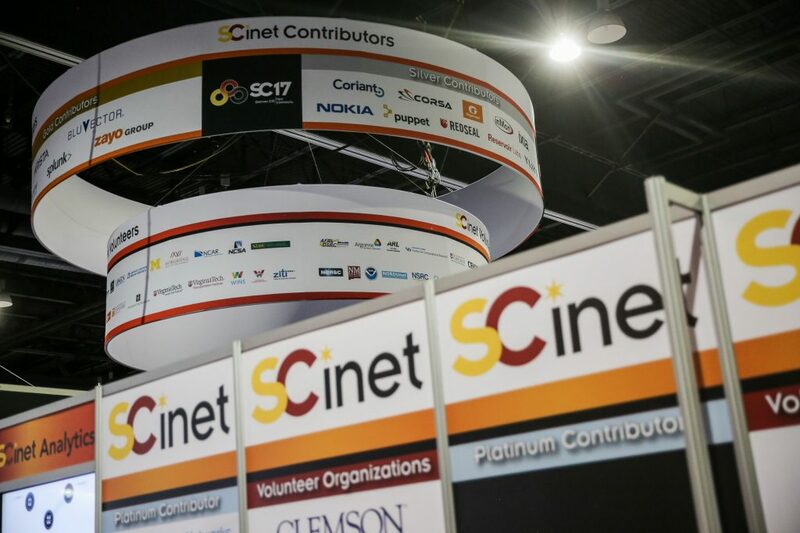 Another goal for SC17 was to broaden the reach on a global basis and this was reflected in both general attendee numbers and on the exhibitor floor. Approximately 2,800 people were from countries other than the United States and 122 exhibitors were international. Tech Program: The SC Technical Program is highly competitive and one of the broadest of any HPC conference. In the 13 elements comprising tech program, SC17 had a total number of 880 submissions from close to 2800 unique individuals. Over 370 different highly respected volunteers from academia, government and industry, peer-reviewed the submissions. In the end, over 1300 different authors were accepted throughout the different components of tech program (not including individual workshop papers). Technical papers remained extremely competitive with acceptance rates of approximately 19%. And this year marked a stepping-stone in reproducibility for technical papers: in total, 45% of submissions included a reproducibility appendix, and a total of 51% of accepted papers included it. An increase of 344% from 2016! Exhibits: The exhibit hall featured 153,400 net square feet. The 358 industry and research-focused exhibits includes an all-time, record-high of 46 first-time organizations and 122 organizations from a total of 26 countries outside the Unites States making SC17 truly a global experience. SCinet: With $66 million in vendor-contributed hardware, software and services, over 180 SCinet volunteers delivered 3.6 Terabits per second in bandwidth, which is enough capacity to download a two-hour HD movie in 12 milliseconds or all 26 million songs in the iTunes catalog in five minutes. As part of the network construction, the team installed 60 miles of fiber optic cable and 280 wireless access points in and around the Colorado Convention Center. Inclusivity: Among many programs the conference created to encourage greater participation in the conference, SC offered on-site Daycare for the second year in a row. This year, close to 20 children from 13 families were able to benefit from the service – more than twice the number of participants from SC16. We are excited to see more and more attendees seeing the benefit of this service so they can participate in the conference and take care of their families at the same time. Plus what a great way to expose kids to the world of HPC at such a young age! 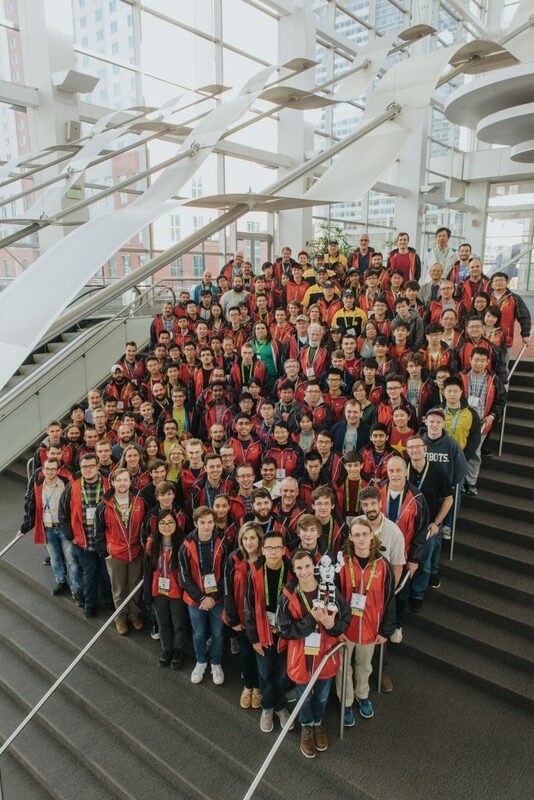 Group shot of the SC17 Student Cluster teams and volunteers. Student Cluster Competition – Winner of both the Highest LINPACK Benchmark and Overall Competition: Nanyang Technological University, Singapore. The ACM SIGHPC Emerging Woman Leader in Technical Computing Award: Dr. Ilkay Altintas, University of California’s San Diego Supercomputer Center. The George Michael Memorial HPC Fellowships: Shaden Smith of the University of Minnesota and Yang You of the University of California. And don’t forget to mark your calendars for NEXT YEAR! SC18 will be held next November 11-16, 2017 in Dallas, Texas.